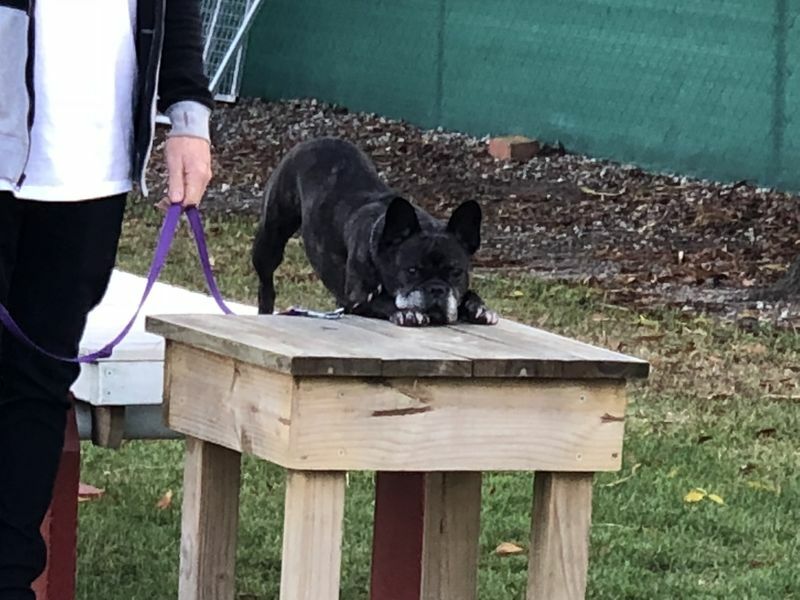 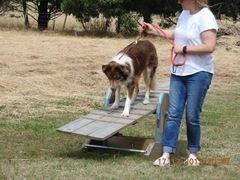 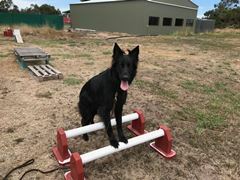 The obstacle/walking class is really great for those dogs that are a little hard to get focused to walk/work nicely for their owners. 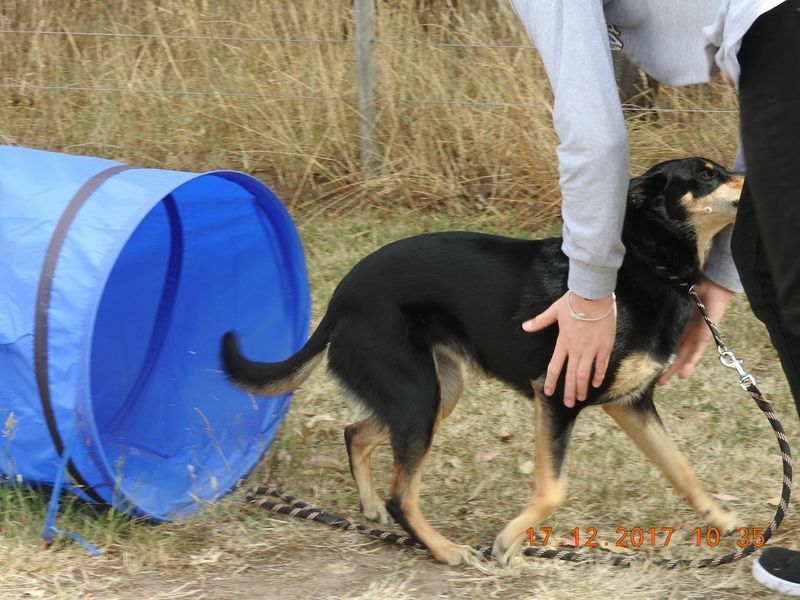 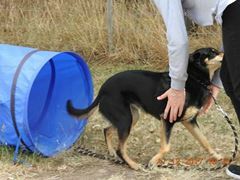 The class presents a way for owners to work together with their dog, on lead, to help them get over, under, through, up, down and around obstacles. 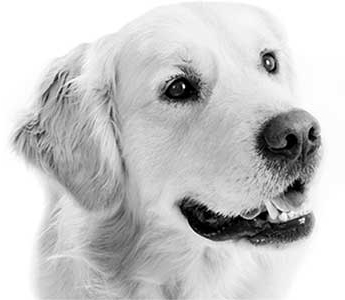 The dogs gain a lot of self confidence and in some dogs this is very helpful in building up the overall relationship between owner and dog. 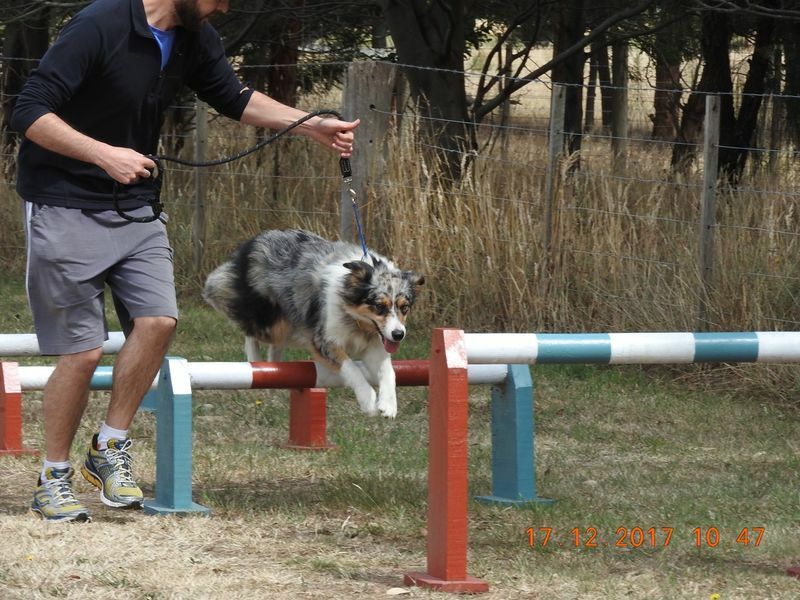 As the dogs have to put their trust and faith in their owner to get them to do things they might not necessarily want to do due to them being either dominant, anxious or just overly excited. 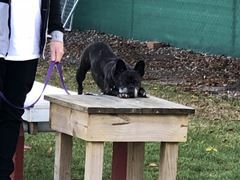 It is really noticable that by the end of these classes dogs that were once anxious, over excited and fully of energy are drained and are much calmer and in being so, listen and work so nicely!! 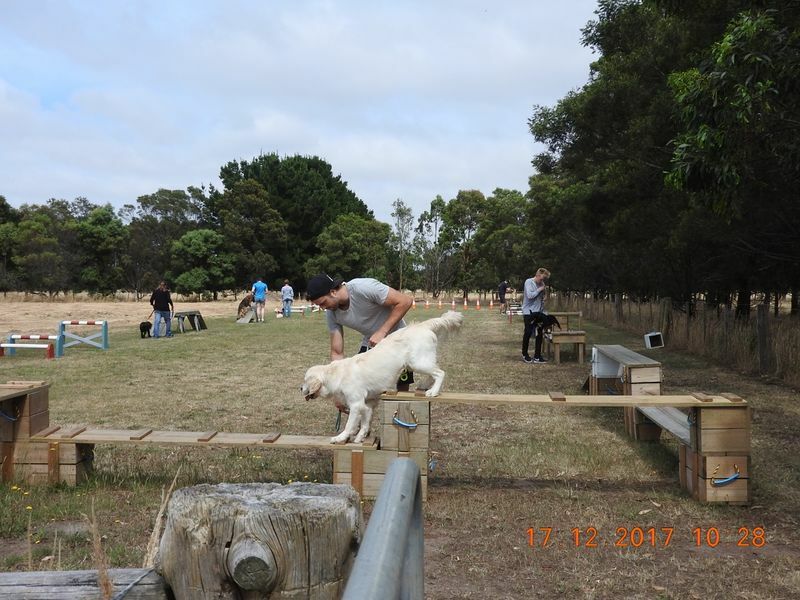 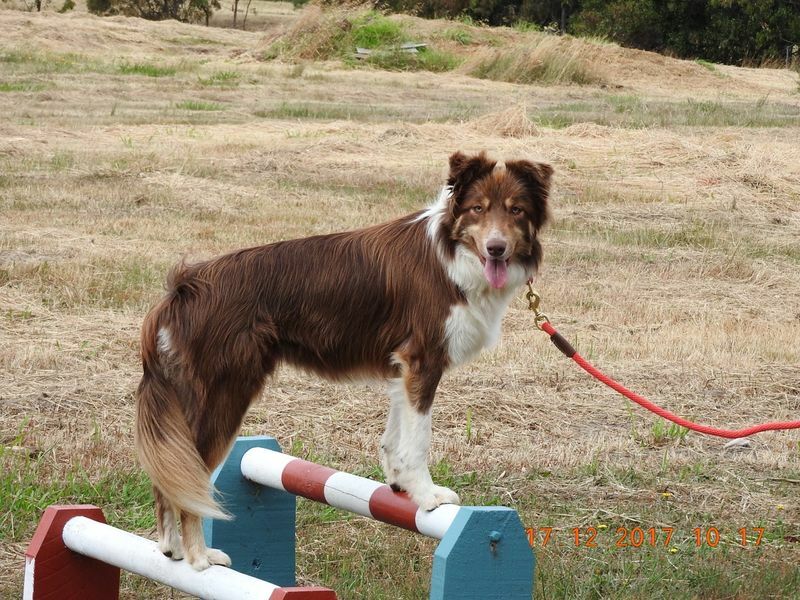 The class is held over 1.5hr during which time owners are taught how to focus their dogs, walk nicely and work over agility obstacles. There is also some time at the end of each class for social interaction between the dogs that are deemed social. 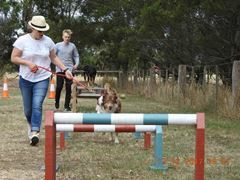 These classes are casual with owners and dogs able to attend whenever it is suitable for them to do so.